This cast gloss white finish, 30° adjustable GU10 mains voltage downlight is economical to purchase, attractive and easy to install. It features a front locking ring for easy lamp replacement and tilt mechanism for directional light. What IP rating are these? 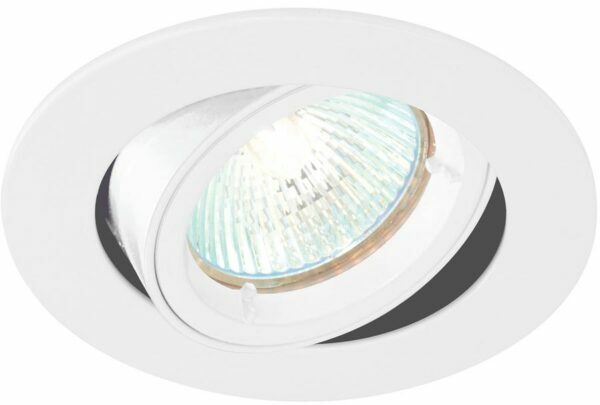 These tiltable downlights are rated to IP20 and therefore offer no protection against the ingress of moisture.